We're back at it again with another showcase of Ragnarok's most talented fans! The ultimate creative competition is back and bigger than before! Who: iRO players from all servers! 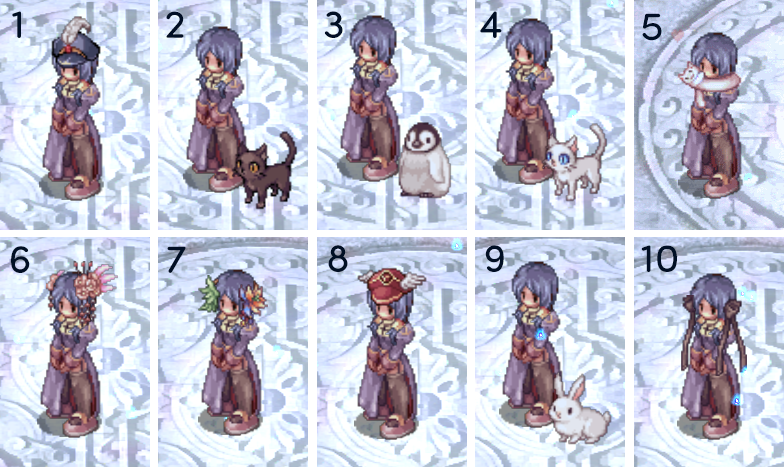 Show off your skills and your love for Ragnarok Online by creating your fanart masterpiece! Whether you're an amazing artist, a refined writer, or a magnificent musician, there's a place AND a prize for you in this competition! We're looking for all kinds of talent for this contest! Entries will be judged based on skill, concept, uniqueness, and general execution by a panel of judges from the WarpPortal Staff. Contest ends at 11:59PM PDT on Sunday, August 26 and 4 winners from each category will be announced the following week. Only one entry per user per category! Please do not submit multiple entries unless they are in separate categories. Alt account entries will be disqualified. Make sure YOU made it! All entries must be made by the submitter specifically for the purposes of this contest. Work previously submitted to any other contest will not be accepted. Commissioned works will not be accepted. All entries must be rated PG-13. Excessive violence, strong language, or NSFW content will not be permitted. Must be iRO related! Content of all entries must be related to international Ragnarok Online and its contents. Follow the forum rules. Please follow the rest of the general forum rules when participating in this contest - no inappropriate content, no bullying, flamebaiting, abuse, etc. Any entries containing these unsavory elements will be immediately disqualified. Make sure your work is able to be seen/heard. All entries must be able to be accessed publicly to be considered for the contest. For example, images must be hosted on a reliable source and put into the entry, music and video entries must be hosted publicly on YouTube or SoundCloud, etc. Visual art rules. Illustration entries containing plagiarized work, clipart, or photos lifted from other sources will be disqualified. Additionally, drawings submitted for other contests prior to this one will not be eligible for entry. Illustration entries may be of any size or shape. Video usage. Video entries may contain videos from Ragnarok Online game and anime and personal filmed footage. Entries containing excessive footage taken from other sources (movies, TV shows, other games) will be disqualified. Videos containing audio from other sources are allowed. Music entries. Music entries must be able to be heard in an accessible format, such as YouTube, SoundCloud, Vimeo, etc. Writing rules. Writing entries are to be submitted in your forum entry comment underneath a Spoiler tag. Plagiarism from previously submitted works, works from other writers, or other works not of your own doing will be disqualified. No reserving spots. "Reserve" posts will be removed by VMods and staff. Please do not reserve posts, just post when you are ready. Expectation of effort. A certain level of effort is expected of these entries. Any entry that is deemed to be of low effort or done solely to gain a prize will be removed, and the submitter will be notified of this and given the chance to try again. Excessive instances of this will be considered spam and the submitter will not be allowed to submit again. Grand Prizes will be awarded to the 4 winners of each category. Each qualifying entry will receive a participation prize. Prizes can only be received on Chaos, Thor, Loki, or Odin servers. One of the following Creative Convention Hats! The Winner prizes listed are available on Renewal and Odin servers. If you are declared a Winner and wish to receive your prize on Classic server, you will be PM'd by CM Astra for an alternate prize offer. Though the prizes listed are unique to this contest for now, it is not intended to be permanently exclusive to this event, and may be used, sold, or offered once again in the future should the need or desire arise. Do your best! Can't wait to see all your talents! Edited by CMAstra, 29 August 2018 - 09:10 AM. it must original or can use artist service? Agree with this. Please change to something rarer to motivate us more. I could totally make an original song for my entry, but prizes aren’t much of a motivation. Please consider stuffs such as Yellow Ribbon, Costume Angel Ear Wing please or other stuffs we don’t see around everyday. Edited by Hogbae, 27 July 2018 - 05:16 AM. Edited by pp322, 04 August 2018 - 08:12 PM. Edited by yosummer, 23 August 2018 - 04:02 AM. Edited by VanishingPoint, 27 July 2018 - 07:34 AM. Make sure YOU made it! All entries must be made by the submitter specifically for the purposes of this contest. No commissioned works will be accepted. It certainly looks like a lot of people are unhappy with the current prizes. I can switch some of them out for the ones you listed if you like. Plus, can we make entries for more than one category? If yes, do we win once or for each category is given a prize? Edited by Hogbae, 27 July 2018 - 08:45 AM. I don’t mind these prizes. I don’t care if prizes are common or uncommon. I just want to participate in Astra’s event! Edited by ChakriGuard, 27 July 2018 - 09:37 AM. Sorry, I didn't specify. Yes you may enter in more than one category, but only one entry per category per user is permitted. Cleared, thanks. Will look forward this contest. The prizes are fine. Don't change a thing. Edited by Nirvanna21, 27 July 2018 - 09:22 PM. What should be the format? Can it be in a microsoft word file? Should it be written here in the comment section of this post? Ragnarok, a game I started when I was in grade 3, playing with my brothers and cousins enjoying every single day grinding. It was a magnificent experience in my childhood that will never be forgotten. As the years had passed, I have grown from my young to my prime and still playing my treasured game, Ragnarok. Coerce green, my very first guild where I met wonderful people whom I have spent my competitive years in Ragnarok. It is where I learned how to build my confidence as a person and discovered my passion as a Ragnarok Gamer. Battles from here and there connecting people from other guilds. Sharing our lives together living in a world that has no limits. Competitive competitions opened the doors for opportunity to futher prove myself to the community of Midgard. I won different titles from different places making myself as one of the best players in our server and our guild. Proud and loud CHAMPION. Personality shaped in the virtual environment. Characters having their own minds and feelings toward others. Treating 2-D Virtual characters like a real person affecting lives in the real world. I may not be the best person in the real world but in Midgard, I can be the best that I can be. Ragnarok my alter-ego, my root of confidence and my teacher in life. Ragnarok! Long-live Ragnarok!! I will never get tired playing and enjoying every moment I spend with you. Edited by JustYourOrdinary, 30 July 2018 - 09:29 PM. Edited by fuyukikun, 28 July 2018 - 11:46 PM.